Prague Writers Festival – Xyris Interactive Design Inc. 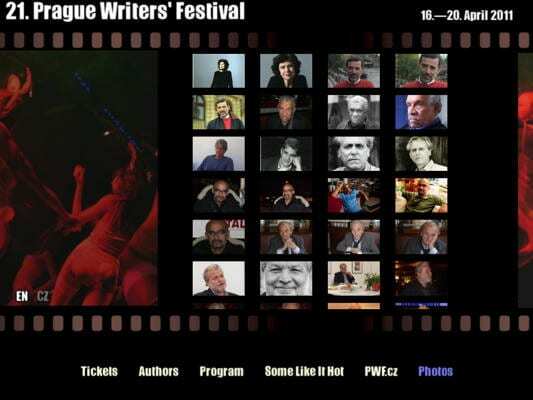 The Prague Writers Festival (PWF) features the most notable luminaries of the literary world, including Nobel laureates and ambassadors. Xyris provided a complete service to the 2011 PWF with an interactive application consistent with that year’s theme: “Some Like It Hot”. With this app we explored a multimedia-rich experience for the festival, presented in the theme of that year.